You may make additional changes or corrections to the your Program’s “home page”. 1. 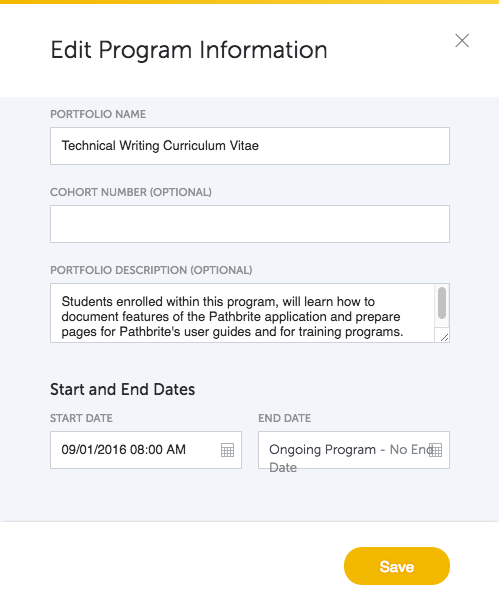 Highlight the desired program in the Program Portfolios listing. 2. Four icons will appear to the right of the program title. Click on the leftmost pencil icon. The remaining three icons allow you to copy the program, move the program into another community or delete the program. 3. 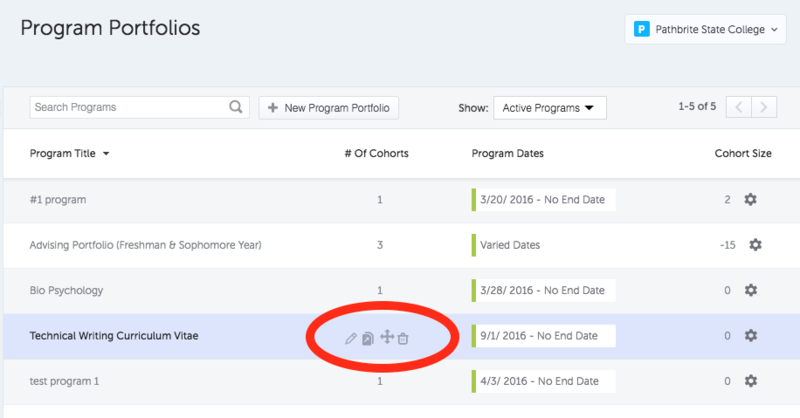 Edit the program name, cohort number, description and relevant dates, to your satisfaction. Click the Save button.